Aim your dart by moving the mouse around. 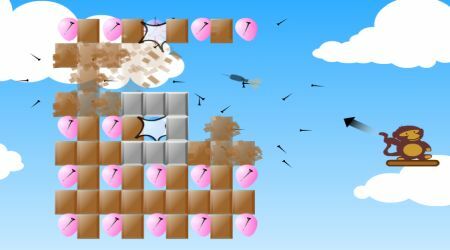 Press and hold the left mouse button to set the power then release to shoot. 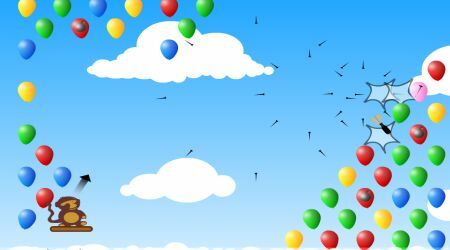 You must be able to pop the right number of balloons to win each round. Shoot special balloons for a big shooting boost.